Anita was told she’d beaten aggressive cancer before her husband Simon got the kidney transplant he’d waited eight years for weeks later. A mum who fought aggressive breast cancer as her husband waited desperately for a new kidney has told of her joy at being given the all-clear – just weeks before he underwent a lifesaving transplant. Anita Howell, 44, was forced to tell her children Sarah, 11, and James, six – who’d grown up watching their dad Simon, also 44, battle renal failure – that she, too, was poorly when she was diagnosed with cancer in December 2016. 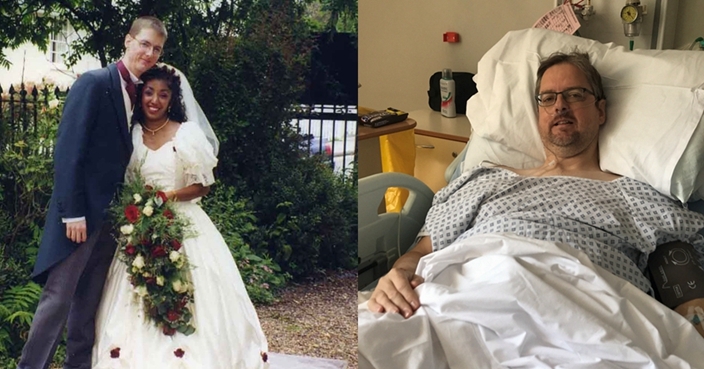 As she underwent gruelling treatment, her ailing husband’s condition deteriorated – prompting their daughter to ask whether Daddy would live long enough to walk her down the aisle one day. But, in June this year, Anita, a supermarket worker, of Burgess Hill, West Sussex, was relieved to be told that there were no traces of cancer left in her body. 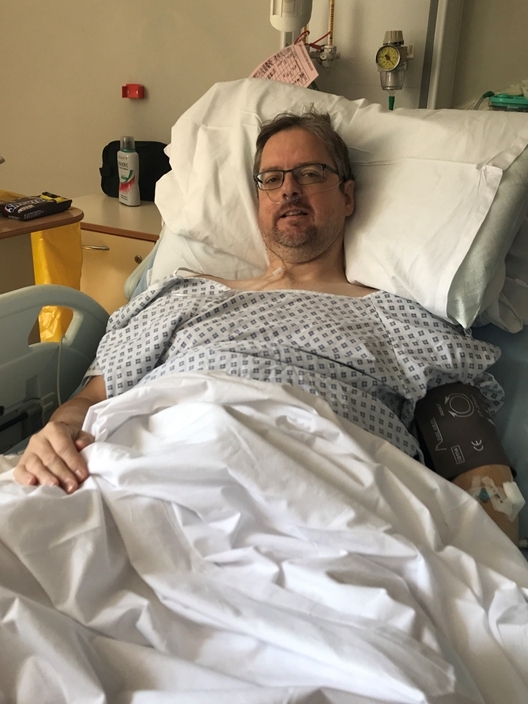 Then, on 9 August, Simon, a retired pathology doctor, finally received the call he’d waited eight years for, and has just undergone a kidney transplant. She added: “Six thousand people across the UK are in need of a transplant right now, and around three a day die waiting. 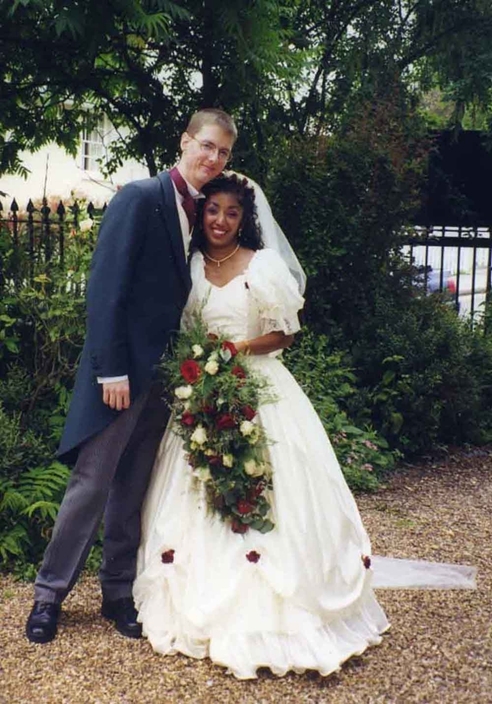 When Anita and Simon first met in 1995 as students in north London, they knew his kidneys were likely to start failing in the future. He’d been born with renal dysplasia, a condition where the internal structures of the organs do not develop properly in the womb. But, the pair didn’t expect any complications to occur until he was in his 50s or 60s. 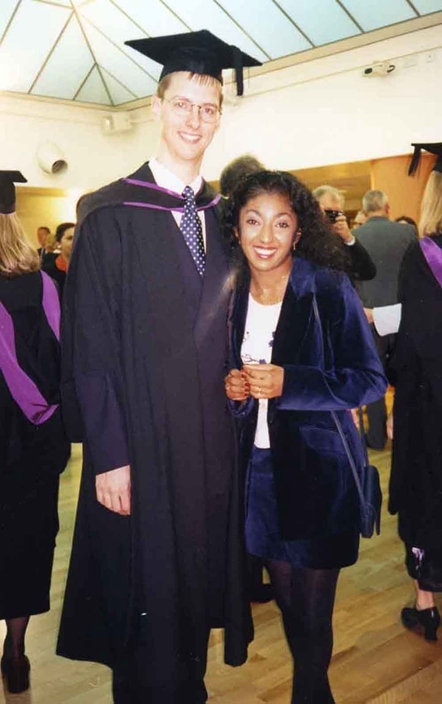 But, as he turned 29 in 2004, Simon fell ill – and was shocked when blood tests revealed he was in the end stages of kidney failure. Right away, medics began searching for a donor and were thrilled when his mum Linda was a found to be a match. She willingly donated her organ and, following a transplant in May 2005, the operation appeared to have been a success. Simon returned to work and, in 2006, Anita discovered she was pregnant with Sarah, who was then born in February 2007. 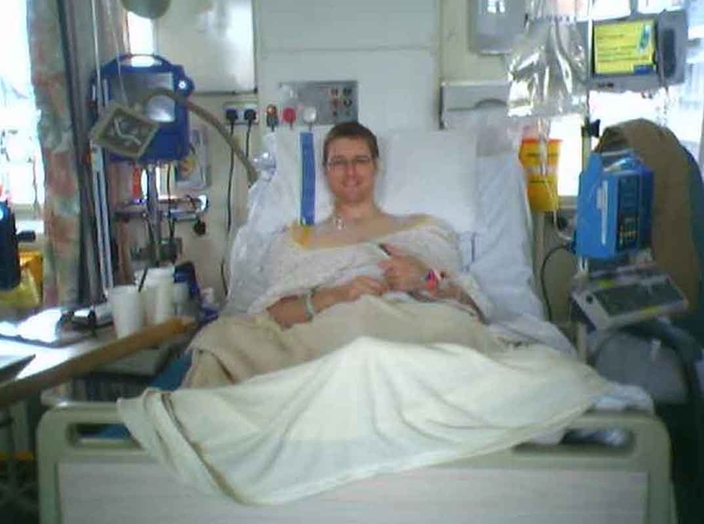 But two years later, Simon’s health declined once again, and it emerged his transplant had failed. Anita and other family members were tested to see if they were a potential match but unfortunately, they were the wrong blood type. 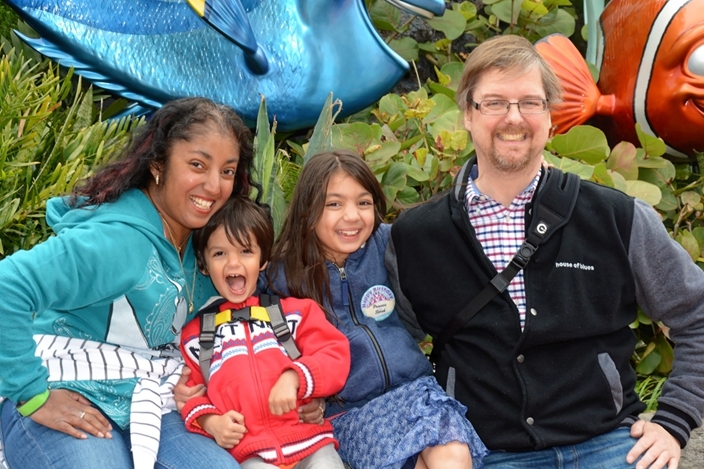 By 2010, Simon was in the end stages of kidney failure again. Forced to medically retire, he spent four hours a day connected to a dialysis machine – first at hospital before he was eventually able to do it at home – whilst he waited for an organ to become available on the transplant list. 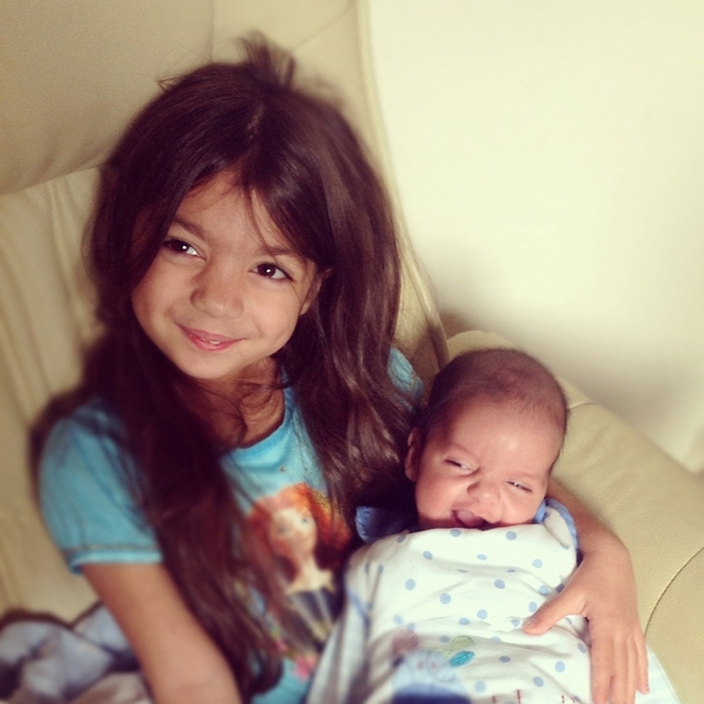 Towards the end of 2011, the couple were overjoyed when Anita unexpectedly fell pregnant with James, who was born in August 2012. 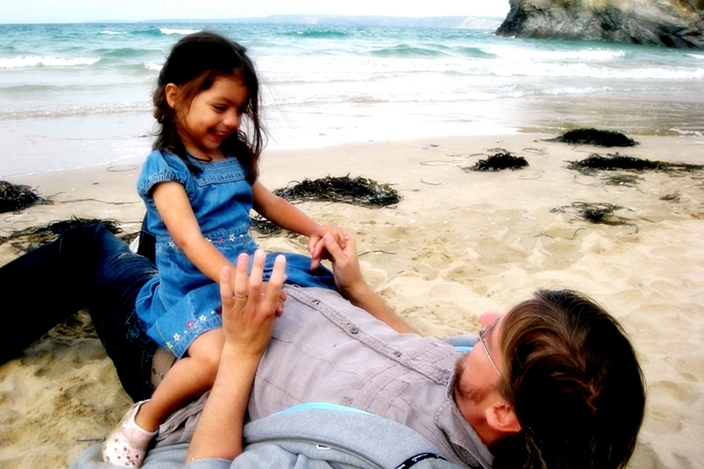 With Simon’s health continuing to deteriorate though, the birth posed heartbreaking questions about how much of his children’s lives he’d be around to see. Then, in December 2016, the family were dealt another bombshell when a lump Anita found under her right armpit turned out to be grade three locally aggressive breast cancer. Anita said: “We had to sit the children down and tell them that Mummy has cancer. We said it was okay to be angry and sad, but that life would go on, so it was okay to still have fun too. As 2017 began, Anita, who was too ill to work throughout her treatment, started intensive chemotherapy, undergoing six rounds in total. Her immune system wiped out, she was repeatedly hospitalised with infections – even contracting sepsis twice. Meanwhile, Simon was still on dialysis as he waited for a transplant. “We were both under the care of the Royal Sussex in Brighton, so sometimes we’d be in treatment on the same day,” she recalled. “We’d drive down together, then I’d drop Simon off for his dialysis and he’d then come to collect me as I finished chemotherapy. “All throughout my treatment, I never really had a good day. I was so exhausted. Even when it was just Simon ill, we were limited to what we could do, but now I was too, maintaining that normality was virtually impossible. In May 2017, Anita finished chemotherapy, before undergoing a double lumpectomy – where the cancer and some surrounding tissue is cut away – and having 11 lymph nodes removed at Princess Royal Hospital, Haywards Heath, East Sussex. Then, in August, she started radiotherapy, having a total of 20 sessions before beginning a course of Tamoxifen, a hormonal therapy drug she’ll need to take for the next 10 years. Thankfully, in June 2018, a mammogram showed she was officially classed as NED – ‘no evidence of disease’. But the family’s ordeal wasn’t over yet. Ending up in hospital with a serious infection the following month, Simon’s prognosis did not seem as positive. That was, until the night of August 9, when a life-changing call came. Anita recalled: “We were sat on the sofa when the phone rang, and Simon answered. I couldn’t work out what was going on, but I could tell something big had happened. She continued: “The next morning, I was going about all these everyday tasks, like dropping them at their grandparents and sorting everything for a drama show Sarah had. Incredibly, the organ was found to be a match, and on the evening of August 10, Simon underwent his operation. Coming to visit, Anita was amazed at how much healthier he already looked. “He seemed so much brighter and more alert,” she said. Now, though he is still recovering, Simon is hopeful that the transplant has been successful. 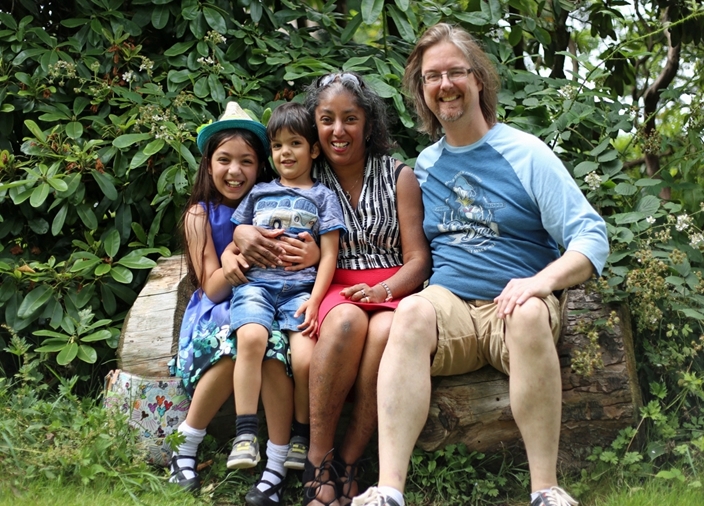 Having had to break so much difficult news to their young children, the couple have written a series of children’s books about their experiences to provide a learning tool for parents going through similar trauma. Called Meet Lucy and Jack, the series has three titles so far – H is for Haemodialysis, P is for Peritoneal Dialysis and K is for Kidney Transplant. After raising money via a crowdfunding site to get it published, Anita has just announced a fourth called B is for Breast Cancer, which will be available on Amazon. They also hope their story will inspire people to sign up as organ donors, sharing their wishes with loved ones. 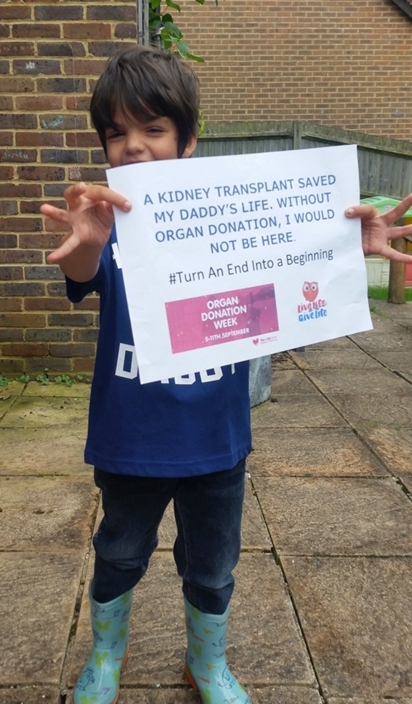 Anthony Clarkson, Interim Director of Organ Donation and Transplantation for NHS Blood and Transplant, said: “This is brilliant news for a family who have been through so much and done so much to promote the lifesaving power of organ donation.